BRAND NEW Nobles ASC-15 All Surface Cleaner. Keep restrooms and hard surfaces sparkling clean with this all surface cleaner. This hard surface cleaner machine is the right solution for the number one cleaning challenge—restrooms. It’s also a great match for cleaning other hard surfaces like stairwells, windows and more. Cleans and rinses fixtures and surfaces, blow dries the rinsed surfaces and then recovers dirty water withoutthe operator touching a surface. After cleaning,the recovery tank easily empties using a drop down drain hose or power pump-out system. 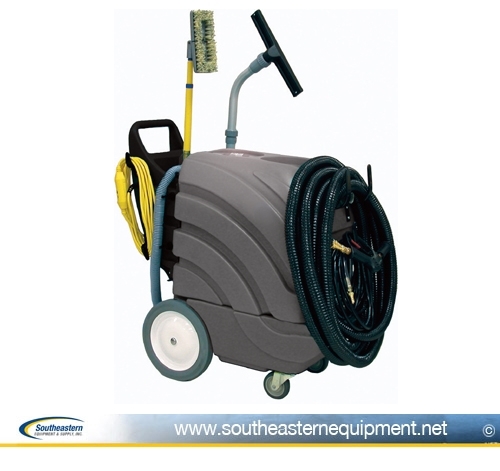 This portable hard surface cleaner machine comes complete with ten standard tools and accessories, including a telescopic vacuum wand and a separate expandable clean-air blower hose.